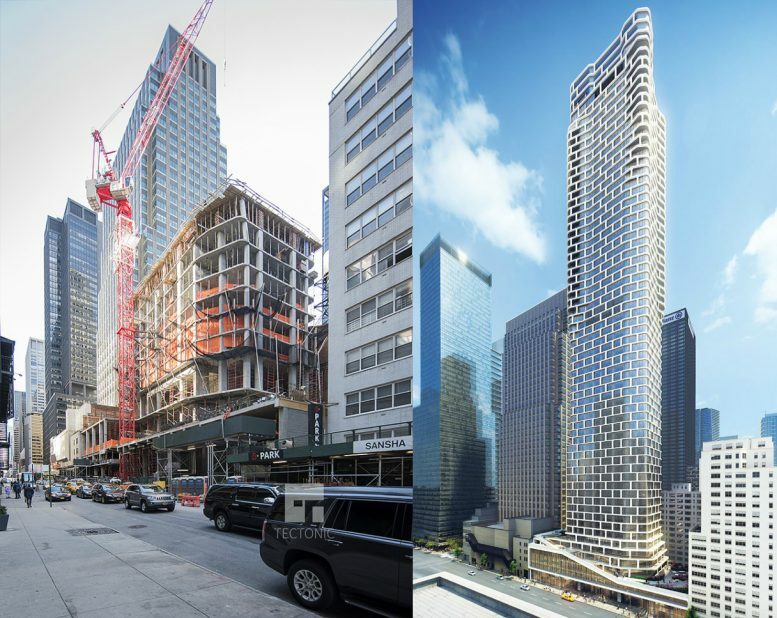 New York YIMBY has been tracking ARO’s construction for over two years, and the 62-story tower is now nearing completion. This collection of Midtown West luxury apartments from Algin Management and architecture firm CetraRuddy is bringing a modern sensibility to the classic neighborhood: the curvy tower features a glass facade wrapped in a lattice of white aluminum, while inside, residences feature high-end finishes and appliances bathed in natural light from floor-to-ceiling windows. The homes range in size from studios to four bedrooms and average just over a thousand square feet each. Select residences also include private terraces that extend from the building’s corners, providing spectacular Manhattan views.